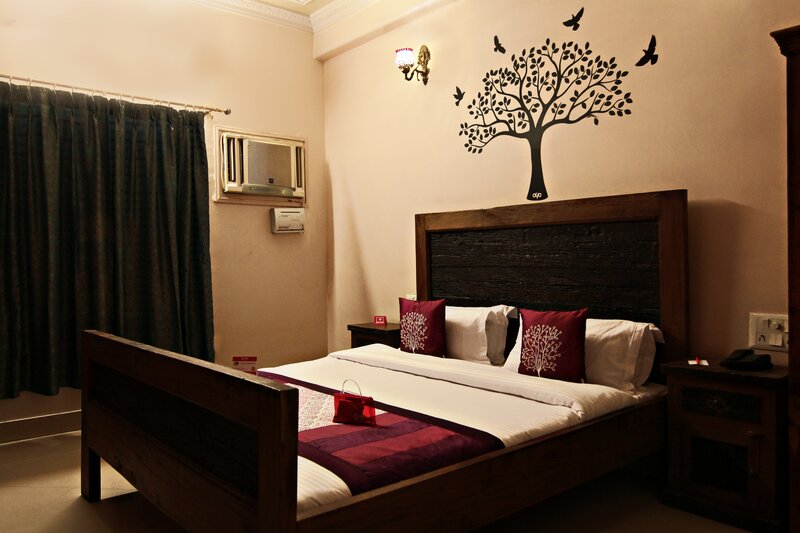 FacilitiesHotel Mandela is one of the most charming and elegant hotels in the city of Jaipur, peaceful decor and curved finishing syncs well with the palace approach at a pocket-friendly price. The stay is a serene accommodation ideal for modern travellers, The clean rooms with the hint of the royal ambience and creative decor make the stay pleasing. Guests can avail the facility of free Wi-Fi to stay connected with friends and family. Other facilities available at the hotel include a dining room and a parking space. A variety of local cuisines can be indulged in by the guests in the cosy in-house restaurant with a palace like a decor. Key attractions like Rajasthan Polo Ground, Birla Auditorium, and Central Park are situated near the hotel.